Last updated by Mark Jala at December 18 . Stainless steel cookware sets offer durability, versatility, and style. Stainless steel is a popular choice due to its healthy non-porous surface, appearance, dishwasher safe clean-up, and durability. 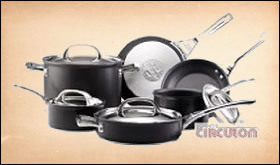 Like cookware sets made of other materials, they usually include 6 to 14 pieces, lids included. Whether buying an individual piece or a complete stainless steel cookware set, be sure to look for quality. Higher quality stainless steel will always be “18/10” on the inside and clad with either copper and/or aluminum. Stainless steel cookware sets are healthy, durable, attractive, and versatile. When properly cared for, it lasts a very long time, and is easy to maintain. Stainless steel is dishwasher safe. Be sure to check out the manufacturers care and use instructions, as well as pick up a quality stainless steel cleaner. 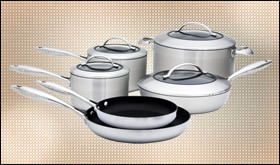 Cookware sets can include both a small and large frying pan. You will see a variety of names for these items including frying pans, skillets, and omelet pans. The small frying pan will usually be around 8″ while the large will either be 10″ or 12″. They make some as large as 14″, but are rarely included in cookware sets. The sauté pan looks much like a skillet, but the side walls are straight up, and they can come with a lid. The sauce pan is what most would call a small pot. These vary in size from 1 quart to 4 quarts. The stock pot is large, usually around 6 – 8 quarts. They are great for making homemade soups, boiling water for corn on the cob, pasta, or other large items. Small stainless steel cookware sets usually include one or two frying pans, one or two sauce pans, and either a large sauce pan or a stock pot. Larger cookware sets will include both a large and small frying pan, one or two sauté pans, two or three saucepans, and a stock pot. Copper pots are chosen by home chefs because of the excellent heat distribution. Copper cookware has an aesthetic look many cooks enjoy. Like the memorable name brand peanut butter commercial, when it comes to cookware, choosy home chefs choose copper pots and pans. There are 2 variations of copper cookware. First it can be an inside clad layer, as shown in the All-Clad picture below. Second, it can cover the entire outside of the cookware, as shown further below. Like with most cookware, when you purchase quality, it can last for generations. When buying lesser quality pieces, the results can be a waste of money. Copper cookware, at a minimum, needs to cover the bottom. Higher quality pieces will have the copper extended all the way up the sides. Copper cookware never has copper on the inside since it can be toxic when exposed to acidic foods. The insides are usually lined with a combination of tin, nickel, aluminum, or stainless steel. Proper care and use will help the cookware last a long time. Use the wrong cleaning methods, too high a heat, or the wrong utensils, can cause the inside surface to expose the copper, separate the bottom layers, or ruin the exposed finish. Copper saute pans and copper sauce pans are not only beautiful pieces of cookware, but the most precise cooking instruments. When making delicate sauces where precise temperatures are necessary, nothing beats the control of copper. When copper covers the entire outside surface of the cookware, it can turn different colors when in use. As the copper heats, it can turn pink, burnt orange, or purple. Once a home chef gets to know the cookware, they know when the copper pots are at the appropriate temperature by the color it turns. Copper pans and copper pots need to be hand washed. Let the cookware cool after use. Wash in warm sudsy water and clean with a nylon scouring pad. Be careful with the inside surface as you do not want to scratch it to expose the raw copper. If copper cookware does get scratched or after extended use where the inside surface can thin, it is recommended to have the inside surface repaired. Copper cookware is not recommended for use in dishwashers. Are copper pots and pans healthy? When it comes to health matters, the copper has little to do with the question. The material on the inside surface is what matters, as long as it is not scratched and copper is exposed. Stainless steel interiors are fine. Aluminum, tin, or when nickel compounds are used, are the types of interiors one may need to be cautious with. If a person is allergic to trace amounts of these metals or wish to reduce the chances of getting these metals in their foods, avoid these interiors. Copper pots and pans are the material of choice for home chefs. Using copper pots is a joy, and aesthetically pleasing. Though expensive compared to other cookware materials, the end result can be the perfect delicate sauce or perfect dish. It is not hard to season cast iron cookware. Cast iron cookware needs to be seasoned to properly maintain its nearly nonstick cooking surface. Today, cast iron cookware comes in 2 varieties, standard black cast iron and enameled cast iron. The enameled cast iron does not need to be seasoned. In this article, I’ll discuss the best way to season cast iron cookware. When properly maintained, cast iron cookware can provide a nearly nonstick surface. As it is used, the oils fill in the pores of the pan or skillet, and helps release food from the cookware. If food sticks to your cast iron cookware, it is not seasoned enough or properly. The first step of the seasoning process is to make sure the pan or skillet is properly cleaned. Rinse the pan out with warm, non-soapy, water. Using a stiff bristled brush, scraping any deposits off of the pan. Only if there are some seriously stuck on deposits is it OK to use soapy water. The soap will take away whatever seasoning has built up. Once the pan or skillet is cleaned, dry it thoroughly with paper towels or a clean dry rag. Once the pan or skillet is dry, apply your seasoning oil. I use a virgin coconut oil. Use a neutral oil like food grade coconut oil, vegetable oil, Crisco, or lard. I’m hearing a flax seed oil works wonders also! I use wax paper to apply the seasoning. Others use a clean rag or even foil. I’ve found that paper towels are not the best to use because some paper remnants can stick to the cookware. It is very important NOT to apply too much oil. If it builds up after the heating process, and is stored, the oil can become rancid. That’s not good. Heat the oven to around 350 degrees. For flax seed oil, use a higher temp like 450. Place the pan or skillet upside down on the top shelf of the oven. Place a layer of aluminum foil on the bottom shelf to catch any drippings. Cook for 30 – 60 minutes. After the cast iron has cooked for 30 to 60 minutes, place it on the stove top or a cooling rack to let it cool. It is best to use cast iron cookware nearly every day. Using it and cleaning it properly on a regular basis builds up the best seasoning. If it must be stored, place a layer of paper towels or a rag on the bottom of the shelf. Store the cookware upside down, making sure there is air circulation around the cookware. Do not store lids on the pan locking in air. Seasoned cast iron needs to have ample air circulation. Locked in air will cause the baked in oil to become rancid. That’s not good. When you are ready to use the cast iron cookware after it has been stored, rinse it with warm, non soapy water, and dry with a clean rag or paper towel. The use of soap will remove the seasoning. Very bad. Properly seasoned cast iron cookware is a joy to use. The heating properties of cast iron and the nonstick surface will do a great job on whatever you cook, making you look like a professional chef! A Cast Iron Cookware set is not a dream anymore! Cast iron cookware is favored by cooks who like the healthy and naturally nonstick surface of cast iron. Cooks will be pleased to know that manufacturers are making additional cast iron cookware pieces that make up a full cookware set. What was once just a frying pan and Dutch oven, is now growing to include casserole dishes, sauce pans, saute pans, and other essential pieces of cookware. Enameled cast iron cookware is leading the trend with its luxurious colors and added food storage capabilities. Cast iron cookware has been popular for a very long time because of its heat distribution and retention capabilities. Still a camp favorite for that overnight camping trip, new variations of cast iron cookware introduce colors and flexibility with enameled surfaces. Manufacturers are creating essential cookware pieces made of enameled cast iron with colors that fit any kitchen decor. Able to go from stove top or oven right to the kitchen table in fashionable style makes cast iron as popular as ever. 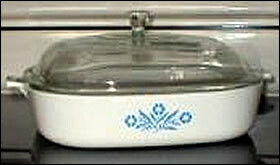 Some enameled surfaces, being non reactive with food, even allow for marinating food and food storage after it is cooked. New cookware and styles being introduced all the time! Traditional cast iron needs to be seasoned. Seasoning cast iron cookware is a process of adding a quality oil to the inside of the cookware and baking it for an hour at 350 degrees. The seasoning process fills in the porous surface providing a naturally non stick surface. Enameled cast iron cookware does not need to be seasoned. Always be sure to read the care and use instructions of your cast iron cookware. Most will recommend hand washing, even the enameled items that can be placed in an automatic dishwasher. Traditional pieces definitely need to be hand washed and dried immediately. Cast iron cookware, always a kitchen favorite, is growing even more popular with luxuriously colored enamel surfaces and essential cookware pieces. Popular brands like Le Creuset, Staub, Lodge, and Calphalon have attractive and functional cast iron cookware pieces. As new pieces become available, they are being added to cookware sets, growing what was once a stingy 3 piece cookware set into full fledge 7 to 9 piece sets. Anodized Aluminum Cookware Sets are known for durability and light weight. Aluminum cookware sets are affordable, twice as hard as stainless steel, and attractive with its typical dark color. Today, they are even being made in colors, like bronze, other than the familiar black or dark gray. Most today do not have native anodized aluminum on the exterior or interior, but rather a nonstick surface. Cooks love anodized aluminum cookware because it heats very evenly surrounding your food with a steady heat. It is no surprise anodized aluminum cookware sets are found in many homes. The “Busy Cook” will like an anodized aluminum cookware set. It’s a set that can endure daily cooking, be tossed around, and some can even handle the dishwasher. Note that each lid counts as one of the pieces. A 12 piece anodized cookware set usually adds another saucepan w/ lid. Saucepans are sized 1 quart to 4 quarts. Skillets are usually sized 8″, 10″, and 12″. Stockpots are around 8 quarts. There are a lot of flavors of anodized aluminum cookware sets. Check if it is dishwasher safe. But always read the care and use instructions. Check the max temperature it can handle inside the oven. What kinds of lids come in the set. Also be sure to note the size and durability of the handles. While list prices will range $300 – $600, you can expect to pay in the range of $200 – $400. There are many advantages of the anodized aluminum cookware set. Being aluminum, it is light. It is stronger than stainless steel. Some have non stick surfaces inside and/or outside. By itself, it is considered “low stick.” It can be put in the oven. And some are dishwasher safe. Anodized cookware sets that are not coated with nonstick surfaces are becoming harder to find. For more information of this type of cookware, please check out our article The Hard Anodized Cookware Set.